A 2009 review of "The Age Of Revolution" single from Planet Sound. June 2009: The Times Online lists the hosttest downloads - "The Age Of Revolution" single features! A 2009 interview with Neil and Thomas from The Times. 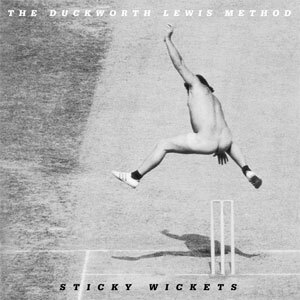 June 2009: The Duckworth Lewis Method is CD Of The Week! A 2009 interview with Neil and Thomas from the Evening Standard. June 2009: The "Today" programme's Colin Paterson examines why there hasn't been more sucessful cricket songs..
A 2009 review of the debut album featuring a chat with Neil and Thomas. In 2009, The Duckworth Lewis Method were Teletext's Champs Of The Week! A 2009 review of "The Age Of Revolution" single from the Daily Music Guide. A review of the debut Duckworth Lewis live show at Dublin's Sugar Club in 2009. A 2009 review of the debut Duckworth Lewis Method album from Hot Press. A 2009 review of the debut Duckworth Lewis Method album from Airstrip One. 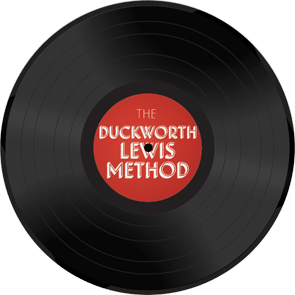 A 2009 review of the debut Duckworth Lewis Method album from Music OMH. June 2009: SPIN Magazine's take on the debut Duckworth Lewis album. The Guardian's take on Cricket Pop and the debut album. 12th June 2009: The Guardian picks "The Age Of Revolution" for their playlist.